It is important to have a conversation with your grown children about the money they will inherit, in order to ensure that you have given them the best chance to make this wealth last. Unfortunately, plenty of assets that have passed on to future generations do not last for long and this is particularly true when it comes to family business interests. The family business interests or the wealth amassed by the company could be misspent or squandered away in just one generation if you’re not careful. The best way to guard against this is to ensure that you have taken a comprehensive approach to estate planning and engaged your beneficiaries in a conversation about how to protect this wealth. Having the right support from an experienced estate planning professional who understands how all of these issues will affect your own future is beneficial. 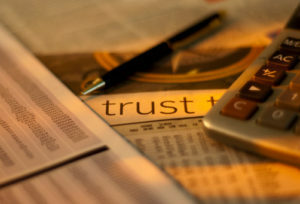 Unfortunately, trusts and investments often do not last until the third generation. Thousands of business owners and high net worth families will even have difficulty passing on this wealth to the children, much less the grandchildren. Many of these cases involve a breakdown in communication and trust. Lack of preparedness on the part of the younger generation receiving the wealth is part of the challenge but it is also the responsibility of the person making the estate plans to consider all possible ways that they could guard beneficiaries from themselves. Beneficiaries may not be capable of receiving a large lump sum inheritance. An estate planning professional will be well advised to counsel you about the unique situations in your family, especially if you are concerned about a spendthrift child or a child who is struggling with addiction-related issues. If you can’t afford long-term care, you should be prepared to qualify for Medicaid as quickly as possible. But this kind of advanced planning is often overlooked and could be catastrophic depending on your individual situation. 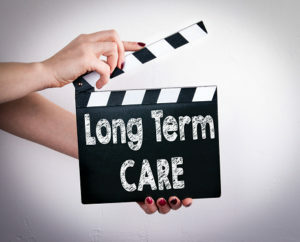 The cost of long term care has many different implications for those approaching retirement age. People who have spent their entire life saving for their retirement and hoping to tap into pension funds and government benefits can be shocked to realize the rising and significantly expensive costs of long term care. For these individuals, the support of an experienced estate planning attorney is necessary. An estate planning attorney should also have plenty of background working in the area of elder law, such as advising you about advanced Medicaid planning tools you can use. More senior citizens are filing for bankruptcy with the rising costs of long term care being one of the leading factors. Since 1991 the rate at which seniors have filed for bankruptcy has more than doubled, and the percentage of elders in the bankruptcy system overall has almost quintupled. This data was pulled from research completed by the consumer bankruptcy project, indicating that seniors show they are struggling with the unmanageable costs of health care and inadequate income to help afford a lifestyle in retirement and pay for their health care concerns. More seniors are less likely to pay their own bills, meaning that they will have to turn to Medicaid and plan appropriately with the help of a knowledgeable estate planning and elder law planning attorney. A decrease in retirement benefits across the country is one of the leading reasons why elderly bankruptcy is rising, as fewer people have access to pension funds and reliable sources of income and support in their retirement years. Just one health care event as an individual or as a spouse in a married couple could be catastrophic to the family finances and can present significant estate planning challenges. Scheduling a consultation with a knowledgeable lawyer today is extremely beneficial for your future. You need to know what to look for in terms of advanced long-term care planning and other elder law issues- our lawyers are here to help. Americans and people the world over, are living longer than ever before and while this is generally good news, it can be disconcerting if you don’t have an appropriate estate plan in place. Thankfully, doing your estate planning work in advance with the help of a knowledgeable attorney can give you greater peace of mind that should you ever need long term care, that it would be accessible to you and confidence in your estate and financial planning. The first stage for protecting yourself for greater longevity is considering long term care. There is a good chance that one spouse of every married couple will at least end up in a nursing home. Traditional long-term care policies might be too expensive, but it’s a good idea to investigate your options now. The second thing to do to prepare for greater longevity is to consider incapacity. Many people assume that their spouse will have the automatic ability to make financial and medical decisions on their behalf in the event they become incapacitated, but this is not always the case. You should have legal documents that line up directly with your wishes and individual desires. The third thing you should do to incorporate longevity into your plan is to avoid probate. If you were to pass away without assets in your sole name, your loved one may have to go through the painful, expensive and sometimes frustrating process known as probate. Probate can cost anywhere from a couple of thousand dollars to many thousands of dollars and can take six months to a year or longer. 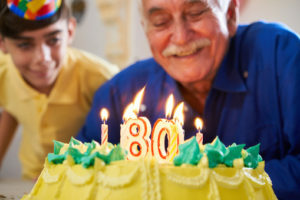 Finally, the last step to consider in your longevity plan is how to minimize taxes. 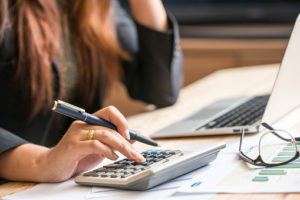 Although federal estate taxes might no longer apply unless you have substantial assets inside, there are other taxes that you might need to consider, including inheritance taxes, estate taxes, and capital gains taxes. Make sure that you consult with an attorney about what to do if this applies to you. Are you a big art collector but are not sure how this factors into your estate planning? You could be leaving behind major problems for you beneficiaries that go far beyond simply passing on these art related assets. First of all, if you don’t have the appraisal work completed, your beneficiaries or your executor could be dealing with challenges such as estate fraud. While the federal estate tax and gift tax exemption is $11.18 million per person, and estate taxes might not be an issue for most people, if you’ve accumulated a substantial volume of artwork over the course of time, ignoring the value of this art could lead to problems later if you don’t report it appropriately. If you don’t report the value of your art collection, penalties, estate taxes, fines and tax fraud issues could affect your loved ones. Since the statute of limitations for tax fraud is essentially limitless, you want to do your homework well in advance. 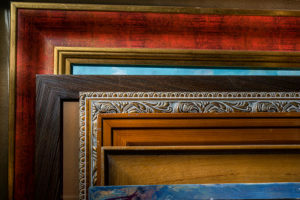 Even if the estate tax exemption amount won’t be triggered by your personal art collection, you want to have clarity and organization regarding how you intend to dispose of these assets and its overall value. 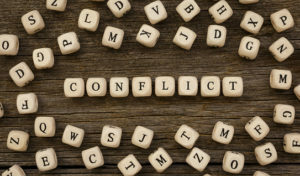 This can help to keep the peace among beneficiaries and decrease the chances that your loved ones will become involved in an estate planning or probate related dispute. The first step to take is making an inventory. Make a list of every piece of art and its overall value. If you’re not familiar with the values, you can hire an art appraiser to determine the fair market value of the collection. In addition to leaving artwork to beneficiaries with the appropriate value percentages, you’ll also be informed about whether or not any estate tax issues arise. A trust may be a better way to pass on your art collection. If you transfer your art collection into a trust, this protects the privacy of your estate and the artists involved, as well as the beneficiaries. Schedule a consultation today with a knowledgeable estate planning lawyer who can help you figure out what you need to do in order to best protect your interests. No one wants their loved ones in the midst of a bitter battle about estate planning and inheritance issues, and yet far too many people have seen this firsthand. Thinking that you’re going to inherit something from someone’s will and later learning that another family member has initiated a will contest can be overwhelming as well as frustrating. Thankfully, there are steps you can put in place to decrease the chances that there’s confusion or even disputes over the distribution of your assets. Multiple states, including Massachusetts, accept a very important document known as a personal property memorandum. This can become one of the most important documents inside your estate plan because it clarifies exactly what you do and don’t want done with your belongings. A personal property memorandum is used to explain all the individual property you want to leave to your heirs. This means there’s little chance for someone to be confused or for your instructions to be misinterpreted. Listing each item inside your traditional will can be far too much detail, but when you instead list this in a personal property memorandum, it’s easier for the person managing your estate to distribute these details. When your personal property memorandum details what you want done with your jewelry and furniture, it can’t be misunderstood. As long as this is included with the remainder of your estate planning documents and so long as your executor or your loved ones know where to find these materials after you pass away, you can make things much easier for everyone involved. That’s because your property can promptly be given to who you intend to receive it. This can be a big blessing for someone who does not want the potential of arguments down the road. When it comes to creating this tool, be as detailed as possible. If you list that one person is to receive your china, but another person gets the “antique serving dish”, this clarifies what is and isn’t part of the general “china.” When you can include clear details about each item, there will be no question about who should receive it. Whenever you need to include supplemental materials with your basic estate plan, this information should be drafted by a Massachusetts estate planning lawyer who knows the lay of the land. What Happens If You Forget to Fund a Trust? All of the estate planning in the world can fall short if you didn’t follow through on the additional steps required after establishing the documents. One major mistake that your family members might discover after you have passed away is that you forgot to fund a trust. Likewise, you might even discover this over the course of your life time if the intention is to transfer assets inside the trust for the purposes of asset protection planning and when you failed to do so, exposed yourself to personal liability. Creating a trust is the first and one of the most important steps to creating a comprehensive estate plan, but if you fail to follow through and fund the trust, you don’t receive any of the benefits that you intended. The trust by itself can be functional but fails to meet its full potential until you put something inside it. Often attorneys who prepare trusts will take care of the real estate for you, such as preparing a deed in trust or preparing a deed. This means that a real estate is officially transferred into the trust. After this has been officially recorded, the real estate is funded into the trust. You should also verify, after transferring real property into a trust, whether or not the county auditor’s office requires you to refile your real estate tax exemptions. Your insurance agent should also be contacted about any implications on that end. Most estate planning attorneys will also help you in the additional steps required to fund your trust, such as moving personal property like appliances, collectibles, clothing and furniture into the trust. Assignments or bills of sale can be used. An assignment should only be used for those items that do not have a title of some type. You should not rely on an assignment to transfer cars, stocks or other items that have a form demonstrating ownership. You can request an affidavit of trust or a certificate of trust directly from your bank account and you will have new signature cards issued which you can sign for as trustee of the trust. These important steps must occur in order get the most out of your trust document. Talk to your lawyer to learn more about your options. A study recently completed by RBC Wealth Management indicated that there has been a major change in the attitude about wealth shared between millennials and the baby boomer generation. Approximately half of boomer women who participated in the study said that they took the lead on financial planning, whereas up to 72% of millennial women were responsible for this area of their households. This trend was consistent across charitable giving, will planning and day to day banking. The wealthier the household, the higher the chances were that a woman was leading the financial planning and was actively involved in the legacy and estate planning. For those households that had greater than $5 million in investable assets, women were the primary decision maker. Key differences also recorded in the study between the two generations were shifts away from thinking about money as a method of providing security, and instead towards the opportunity to do more for the world. Approximately 41% of boomer women said they intended to pass on their wealth to their children, whereas only 15% of millennial women responded the same. A total of 65% of women classified as millennials felt that it was their responsibility to use their wealth to benefit society at large compared with only 52% of women in the boomer category. Women who are wealthy as millennials are much more likely to have developed their wealth on their own when compared with boomer women. Both planning for your future in terms of retirement as well as discussing how you’ll protect your assets and send them into the next generation are worthwhile topics to discuss with a lawyer. Your attorney can guide you through the process of figuring out where you’re at in life and how that translates to your estate planning and retirement planning process. Taking a long look at the issues involved helps you to prepare for your next steps. Regardless of your age, you’ll be more successful if you set up a conversation now with a lawyer who can help you answer questions and create a plan. If you have recently found yourself in the position of needing the services provided by an experienced estate planning attorney, now is the time to schedule a consultation to talk about leaving behind a legacy, asset protection and other important issues connected to estate planning. Anyone looking ahead to the future probably has their primary focus in terms of estate planning on how to protect their assets. However, it is also powerful to consider coming to grips with the possibility of long-term care. Overlooking the prospect of a long-term care can put people in a very dangerous and an unfortunate situation, meaning that they won’t be able to get the help and support that they need when it comes time to recovering in a nursing home or other assisted living facility. 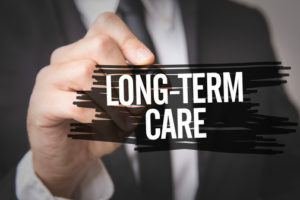 Long-term care is very difficult to understand particularly as it relates to the prospect of Medicare and Medicaid and whether or not these will work. Sitting down with an experienced estate planning attorney is most people’s first concept of working with a lawyer to develop a long-term care plan. 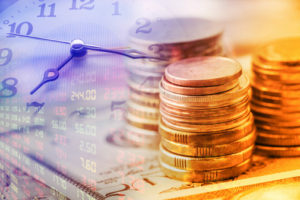 According to a recent study of financial advisors, approximately 60% of those who responded who were working with those clients who had $1 million or more in investable assets shared that fewer than one quarter of their clients had a long-term care plan. 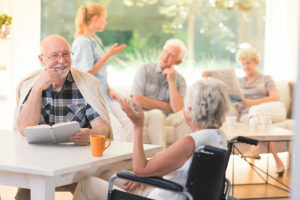 Unless someone has had a direct family experience with a long-term care issue and has taken this as a wakeup call to protect their own interests, they might not understand the many benefits linked to long-term care planning and having a clear strategy designed to assist in the event that a disability or other event suddenly emerges. Talk to a lawyer to get more help. A new study completed by Kaiser identifies what many operators in the nursing home industry already know. As residents’ conditions are getting worse, occupancy levels are decreasing. Investigators recently identified that half of the nation’s nursing home residents had a dementia diagnosis and approximately two thirds of residents were currently receiving psychoactive medications such as anti-anxiety drugs, antidepressants or antipsychotics. Just under a third of current nursing home residents have a psychiatric condition. The total nursing hours increased per resident for each day to 4.1 throughout 2016. Other findings from the Kaiser study are that a proportion of for-profit-facilities has increased to 69% in 2016 and that Medicaid remains the primary payer for most of these facilities. If you are contemplating long term Medicaid planning, it essential to consult with an experienced estate planning attorney to help you accomplish these goals and determine your next steps. Protecting a loved one’s interest is imperative and it is necessary to complete a thorough review of proper Medicaid planning to figure out how these facilities will be paid for.